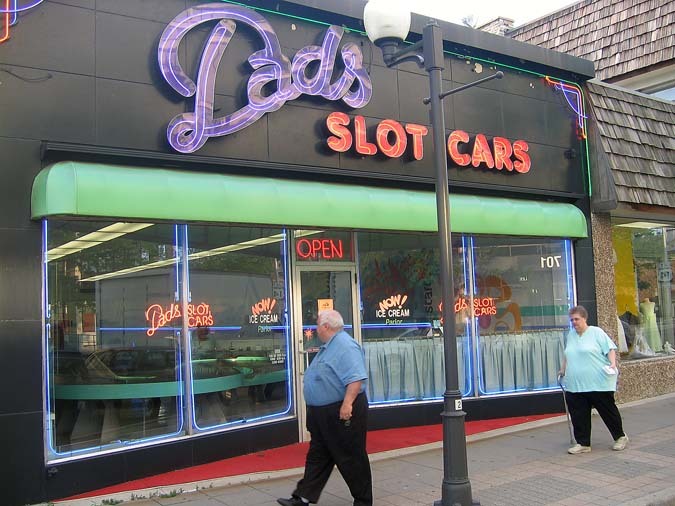 The story of Des Plaines, at least this story of Des Plaines, starts and ends with a hamburger. 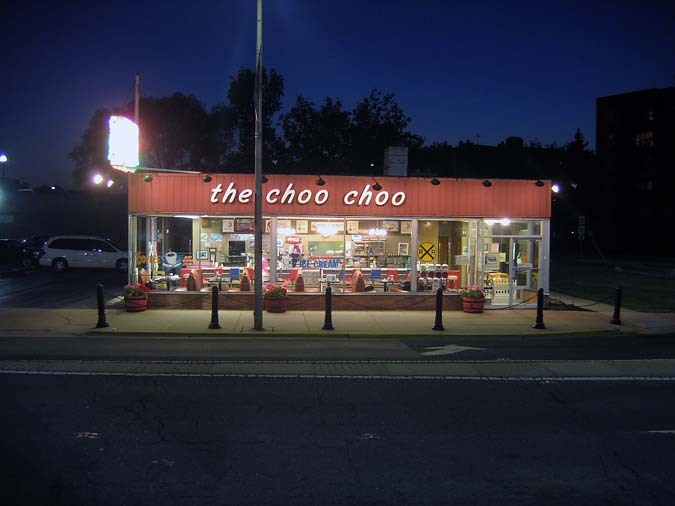 It was 1951 when The Choo Choo opened there (still in business at 600 Lee St.), and 1955 when Ray Kroc opened his first McDonald’s franchise just down the road. 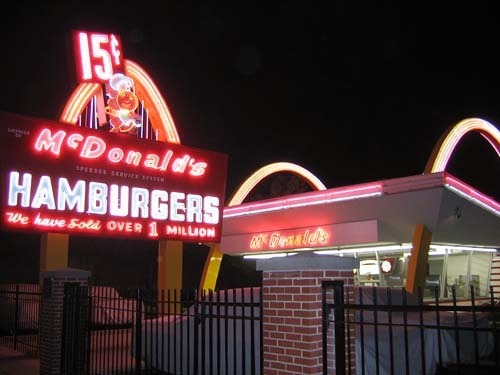 The retro McDonald’s drive-in at 400 N. Lee St. is now a museum directly across from a working McDonald’s, and, as long as we’re talking, a White Castle. But it was December of 2005 when Jimmy Buffett loaned his famous song title to Des Plaines’ latest carnivorous incarnation, Cheeseburger in Paradise, which sits smack dab in the town’s Metropolitan Square development, a mixed-use project bringing new life to a previously tired business district. Kroc’s prices were easier to swallow (15 cents), but at $7.95, Cheeseburger in Paradise’s eponymous and delicious “Cheeseburger in Paradise,” with lettuce and tomato, Heinz 57 and French fried potatoes, is a steal. No matter what you’ve heard on the street, though, Buffett does not live in Des Plaines; our waitress assured us of that, and couldn’t help giggling while doing so. Neither does he work there, and never has he stepped foot in the Des Plaines restaurant, which is, in fact, one of 28 Cheeseburgers in Paradise – or would that be Cheeseburger in Paradises? – across the country. “Hopefully he’ll stop in someday,” our waitress says. Until then, Carol Olearczyk is happy to pick up his slack. She says she goes to Paradise about three nights a week, sitting down for dinner or unwinding with a fruity cocktail after work. It’s easy for her, going to Paradise, since she lives across the street in the one-bedroom condo she bought 10 years ago. Mikey the bartender nods in agreement and goes back to whipping up drinks amid the pastel neon haze of a Key West theme. Mikey’s job often involves the flipping of a stainless steel cocktail shaker into the air a la Tom Cruise in the movie “Cocktail.” He is good at this, and it’s something he seems to like doing. With a stein of my own Island Ale in front of me, I ask Olearczyk for her story. She’s a chef, she says, at Highland Park Hospital, and she moved to Des Plaines in 1995 because she found a condo she could afford. She paid $94,000, and figures that with all of the new development around her today, that unit must be worth at least $190,000. “This was all a parking lot,” she says. Hearing that she is a chef, a bar patron asks who makes a better burger, her or Cheeseburger in Paradise? Everything is juicier in Des Plaines these days. 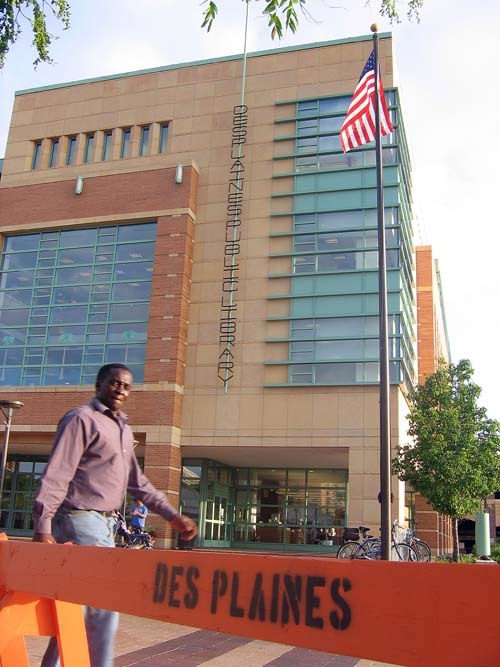 This traditionally blue collar town has been in the throes of a makeover since 2000, when its new state-of-the-art library opened across from the old Des Plaines Theater and the Metra commuter rail station downtown. Des Plaines established a TIF district to spur development centered around the train station, hoping to revitalize a near-dead commercial district. The plan worked, and the good fortune continues today at the nine-acre Metropolitan Square, featuring the place with the great burgers, at 1472 Market St. The project is anchored by a 40,000-square-foot Shop & Save Marketplace grocery store, with an additional 56,000 square feet of retail space, 22,000 square feet of office space and 135 condominium and loft units. 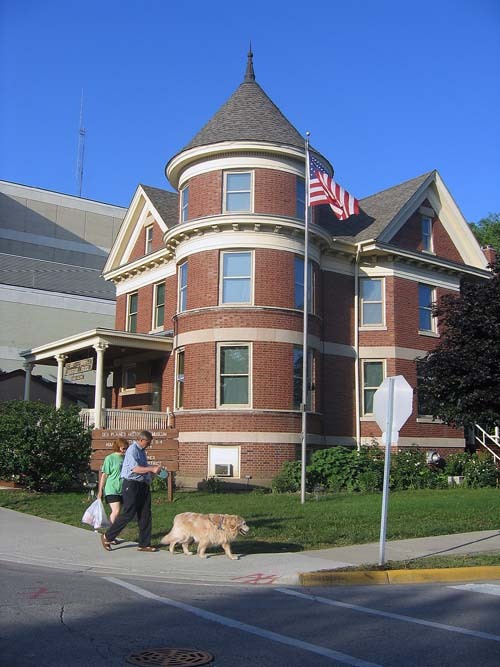 A joint venture of Tucker Development Corporation and Joseph Freed and Associates, Metropolitan Square was designed in a traditional “main street” setting, featuring parking and pedestrian walkways interspersed with the commercial and residential units. And it all connects to the town’s traditional main drag. Metropolitan Square commercial tenants also include a Potbelly sandwich shop and Panera Bread store, along with several specialty retailers, including a Hair Cuttery salon. Lanni expects more residential projects to follow Metropolitan Square’s lead, along with commercial tenants considering downtown locations. Perpetuating the trend of many northwest suburban towns by introducing a bit of the urban experience into the traditional small town lifestyle, Des Plaines has not yet gone overboard, which is the criticism of some suburbs with eyes bigger than their stomachs (for traffic and huge buildings). Even Olearczyk can agree with that, and she lives smack dab in the middle of the hubbub. Olearczyk decided not to move across the street into a new unit at Metropolitan Square when those condos became available, though they’ve risen steadily in value judging by the resales. One-bedrooms that started at $195,000 to $210,000 in pre-construction are selling for $215,000 to $250,000, according to George, and two-bedrooms with pre-construction price tags of $262,000 to $296,000 are now being sold for $275,000 to the mid-$300s, she says. The city of Des Plaines is roughly 17 miles northwest of downtown Chicago, wedged in comfortably at the intersection of the Kennedy Expressway (I-90), and the Tri-State Tollway (I-294). Des Plaines is west of Park Ridge (just across the Des Plaines River), southeast of Mount Prospect, northeast of Elk Grove Village and due north of O’Hare International Airport. The median single-family home price rose from $209,000 in 2000 to $289,000 in 2004 and to $329,000 last year for a 57.42 percent jump over five years, and a 13.84 percent increase in the last year. Attached housing grew at the same rate from 2000 to 2004 ($113,950 to $168,250 for a 57.09 percent increase), but rose only half as much from 2004 to 2005, when the median sales price was $179,00,Â an increase of 6.39 percent. Covering close to 16 square miles, Des Plaines is home to about 60,000 residents and growing. Just across the train tracks from Metropolitan Square, R. Franczak & Associates has developed The Waterford, a new-construction condominium community featuring 18 floor plans. Two-bedroom condos with 1,263 square feet start at $273,900. The homes have a high level of standard finishes, according to Franczak, and appeal to buyers downsizing from single-family homes as well as those working their way toward single-families. Units at the Waterford, for instance, have spa showers, island kitchens, California closets, rooftop terraces, balconies, oak trim, nine-foot ceiling heights and in-unit washers and dryers. The building has central elevators, heated garage parking, a formal lobby and individual storage. 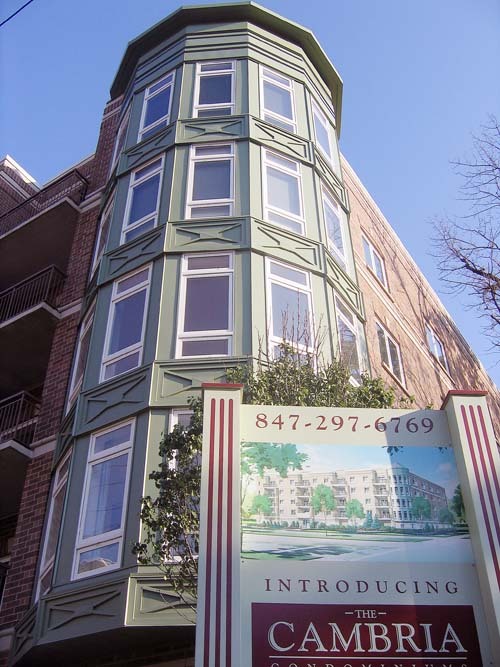 Franczak has also built The Cambria, a new 32-unit condo building, across the street, and at press time, only two units remained for sale there. Development is occurring outside of the downtown area too. Buckingham Pointe, on the south end of town, at Touhy Avenue just east of Mannheim Road, features 44 two-level townhomes starting at $387,900 for 1,800-square-foot units, and rising to $419,000 for a 2,050-square-foot plan. Sales manager Jeff Wills, of the Northfield-based developer Dearborn-Buckingham Group, had sold 39 units by mid-May with first deliveries expected in mid-June. Unsold units will be ready around November, he says. “Des Plaines was always known as an industrial town,” Wills says. “It’s definitely changing. Everything is pushing this way because Park Ridge and Glenview are getting so expensive. Changes in latitudes, changes in attitudes – isn’t that what Jimmy Buffett would say? He might add “changes in property values” if he ever updates his song to include Des Plaines – that is, if the son of a…sailor ever takes the time to drop in for a cheeseburger. Maybe that’s why Buffett hasn’t been to Des Plaines yet – too busy with that music career of his.